DURBAN, South Africa, December 8, 2011 (ENS) – Deforestation is accelerating across Africa, killing wildlife and weakening the ability of the continent’s ecosystems to withstand climate change, especially in the area of food security, said forest experts in Durban for the United Nations annual climate change conference. “Deforestation rates in Africa are accelerating,” said Helen Gichohi, president of the African Wildlife Foundation, during a keynote speech at Forest Day in Durban on the sidelines of the conference. “The disappearing forests, the overgrazed rangelands, and conversion to crop agriculture of grasslands and wetlands that had served as a refuge to drought, have all diminished the resilience of ecosystems,” Gichohi said. Forest Day was convened December 4 by the Center for International Forestry Research on behalf of the Collaborative Partnership on Forests. The year’s event was hosted jointly with the Government of South Africa. It attracted more than 1,000 people, including more than 200 climate change negotiators. “It is urgent to safeguard Africa’s forests, not only because they slow climate change, but also because they act as a final barrier to creeping desertification, underpin sustainable agricultural production, and support the livelihoods of tens of millions of rural poor,” said Frances Seymour, CIFOR director general. With the theme “Protecting forests, fighting climate change: Moving from REDD+ policy to practice,” Forest Day provided a platform to consider how forests and forest resources can be better utilized to combat climate change. REDD+ stands for Reducing Emissions from Deforestation and forest Degradation by funding forest conservation. Being discussed as part of the United Nations climate talks in Durban, this system could allow billions of dollars to be channeled to developing countries to protect their forests by leaving them standing. 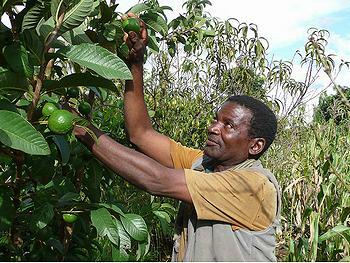 Gichohi called for REDD+ funding to become available quickly to save Africa’s forests. 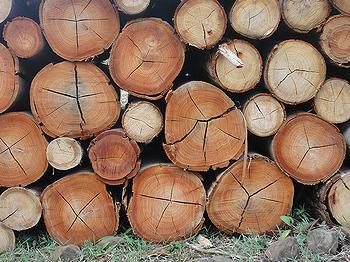 Scholes described the typical pattern of deforestation in Africa – loggers come into a forest, they chop the large trees and take out the valuable timber, then charcoal manufacturers remove a large proportion of the remaining trees. Then low-input, low-output agriculture arrives, which, after a few cycles, leaves the land degraded and of little value. Forest destruction and other forms of land degradation caused by human activities have transformed vast areas of Africa’s once grazeable and farmable land into barren landscapes. 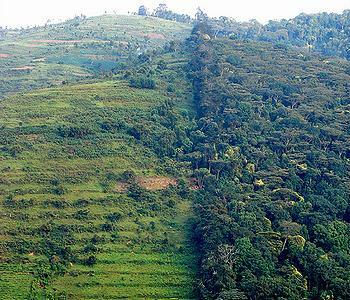 Gichohi said that nine percent of forest cover has been lost between 1995 and 2005 across sub-Saharan Africa, a region likely to be hard-hit by climate change. 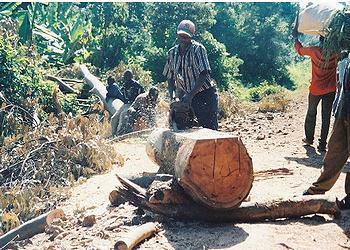 Kenya, for instance, has lost the majority of its forest cover to settlements and agriculture, leaving only 1.7 percent of its land still forested. To honor tree-planting champion the late Wangari Maathai of Kenya, Africa’s first Nobel Peace Laureate and founder of the Greenbelt Movement, Forest Day participants viewed a new film challenging the global forest community to act boldly to reduce the threat of climate change. Another World Bank official says financial support for REDD+ projects to safeguard forests in developing countries is increasing, with new countries pledging to get involved and existing donors stepping up their commitments. Several international REDD+ programs have emerged since REDD gained traction at the UN climate conference in Bali four years ago. The biggest of these are those administered by the World Bank – the Forest Investment Program, which has received pledges amounting to US$577 million, and Forest Carbon Partnership Facility, with pledges reaching US$436 million. CIFOR is one of 15 centers within the Consultative Group on International Agricultural Research, CGIAR, the world’s largest consortium of agricultural researchers. At Forest Day, CGIAR announced a new global research program devoted to forests and agroforestry with an initial three-year budget of US$233 million. The CGIAR research program aims to reinvigorate efforts to reduce deforestation and forest degradation and expand the use of trees on farms. More REDD+ action took place on Monday, when the Philippine and Swiss governments hosted a side event on building a governance framework for REDD+ financing, together with the Ateneo School of Government, the Climate Markets & Investment Association, and Helvetas Swiss Intercooperation. A report presented at the event recommends that the international community catalyze adequate financing for REDD+ in all phases of implementation. REDD+ payments should cover implementation and monitoring of environmental, social and governance safeguards, the report recommends. Unlocking private finance requires demand for REDD+ credits and incentives for sustainable investments, the report found. At a separate side event, also on Monday, the Forest Stewardship Council released a new strategy paper that will guide the future efforts of the standard-setting organization that offers use of its logo to timber that meets its criteria for sustainability. At the event, FSC’s Stefan Salvador explained the organization’s goal to link with REDD+ programs and standards. To work towards including the climate-stabilizing abilities of forests into its certification programs, FSC will pilot test opportunities to cover carbon storage and sequestration more explicitly in its certification system. New business models supporting the provision of ecosystem services will be evaluated and on-the-ground impacts systematically assessed.